Covering with a blanket? This probably sounds like a strange game but my dogs sure do love this fun dog game. It all started with Sephi. When I got Maya, I taught it to her too. When I first started trying to teach Pierson, he was afraid. He wasn’t comfortable playing with us yet. But one day, I saw him roll himself up in a blanket and play it by himself. Now that he is comfortable and settled into his new home, we play it together all the time. Here is how this fun dog game works – Take a big blanket and put it completely over your dog, head and all. Then say, “Where’s Maya?” or “Where’s Pierson?” in your fun game-play voice. As they try to come out of the blanket to come to you move away, around, and/or behind and call them again. Pat them playfully on the side from time to time if they are going the wrong way. Be sure to keep your voice fun the entire time and stop the game if your dog seems distressed. Once your dog is finally able to poke his head out from under the blanket, reward him with playful encouragement and love. Strange, right? But I swear my dogs love this fun dog game. Have any of you played a game like this with your dog before? What other different and perhaps odd games do you play with your dog? 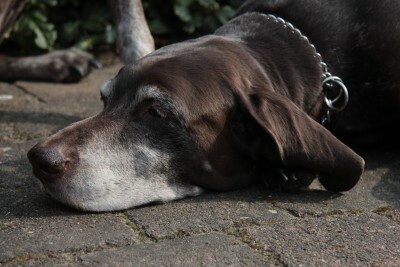 Have you noticed how your elderly pet dog has slowed down lately? If you’ve noticed that it’s getting difficult for him to walk or play with ease, and that he shrinks from physical activities, he might be suffering from arthritis. You have to ensure that the disease is detected early and treated without delay. It would be even better if you can prevent the onset of this painful ailment. 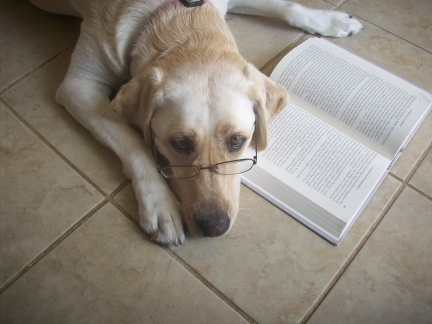 Follow the tips given below to prevent, detect and treat arthritis in dogs. The first thing that you must remember is that it is impossible to prevent setting in of the age and its usual accompanists. The best you can do is following a healthy routine in order prevent the diseases that come with age and ensure good health of your canine. Just like in the case of human beings, over eating and obese problems are prevalent in pets. Follow your pet’s diet chart carefully and avoid over feeding him. It can be hard to ignore your pet’s continuous pleas for treats, but you have to be strict with his diet so that he leads a healthy life. You can switch to pieces of carrots as treats as a good non-fat food item. 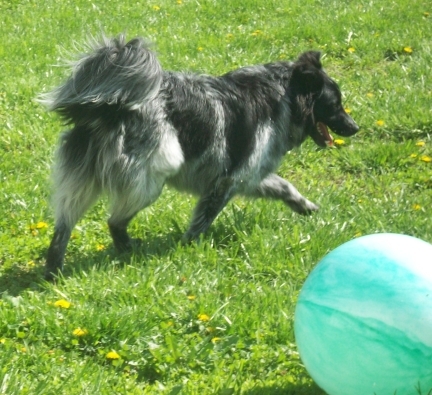 Activity is very important to a pet’s health just as it is important for your health. Spend a considerable time every day playing with your pet or taking him out for a run. You can actually use this time to bond with your pet! A regular check by a professional vet is a good way of monitoring and curing the small problems that your pet suffers from with age. This will ensure his long-term fitness. Shedding the fat and excess weight will ensure that his joints are carrying lesser weight. Start taking him out for walks and making him run in order to shed the weight. Give him daily doses of pet vitamins containing glucosamine and chondroitin in order to ease his discomfort and pain resulting from arthritis. Omega 3 fatty acids are great for the joints as they act as anti-inflammatory agents. You can introduce this nutrient in your pet’s meal by mixing fish oil pills in his diet. Remember that a timely and regular visit to the vet is the best way to prevent as well as detect and cure the problem of arthritis. You mustn’t delay going to the vet in case you see that you at-home remedies are not having the desired effects. Guest blogger Lisa Lyttle is a work-at-home mom and owns two little poochs. Lyttle makes innovative yet cheap halloween costumes to make a living. You can click the link to check out adult animal halloween costumes made by her. I love my dogs. But I don’t think I would ever consider a dog wedding. But this video is super cute. Sabrina and Reggie really look cute in their wedding apparel. However, it seems Sabrina has a bit more to say about the matter. And how about those beautiful bridesmaids! Gotta love the cake too. If you had disposable income, would you have a wedding for your dog? How about a birthday party? Does your dog talk to you in a way? My childhood dog Cassie would bark on command. Sephi would do a funny growl kind of talk when she was excited. Pierson does a sing-song kind of rumble. But the talking dogs in these videos take it to a whole new level. Watch, laugh, then tell us about your talking dog. I love the videos of Dexter’s Ruff Life. This video mostly features Peppermint but Dexter’s in there too. This is my all-time favorite talking dog video. We just discovered this great place. It isn’t just about dogs, though. It is about everything… art, food, clothes, products, people, science, etc. But you can narrow down your pinterests so that you only see what you want to see. I have five pinterest categories which I look at, but the one I spend the most time on is pets! Collect pictures from all around the web. These pictures are copyrighted so you can collect them on Pinterest to look at again and again without having to visit a website. But you can’t post them on your blogs unless you give credit to the original picture holder. You can find it by clicking through on Pinterest. And you can share them on Facebook. Visit my Pinterest Fun Pets page at http://pinterest.com/naturebydawn/. Sign up for Pinterest and follow me. If you have a category on pets or animals, I will follow you in return. Have fun pinning! 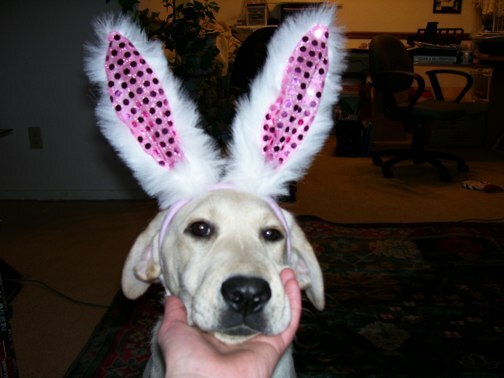 Maya The Easter Puppy says, "Happy Easter!" 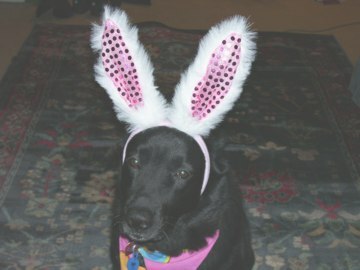 Here are a couple of cute photos of my dogs Sephi and Maya wearing bunny ears (taken a few years ago). Sephi says, "Please take these dumb ears off me." One way I practice leadership is to have my dogs sit and wait patiently while I fill their food bowls. The consequences of you not being a good pack leader for your dog could mean your dog doesn’t listen to you, potties in the house, chews on your stuff, or even growls or snaps at you. Being the leader of your dog pack doesn’t have to be harsh. There are several gentle leadership exercises you can practice in order to establish yourself, in your dog’s mind, as the pack leader. Be consistent, fair, and firm. For greater detail and information on each of these exercises read our article, “How to Be a Good Pack Leader with Leadership Exercises“.